Since the early decades of the twentieth century, the bond between academic Talmud and America has been a strong one. 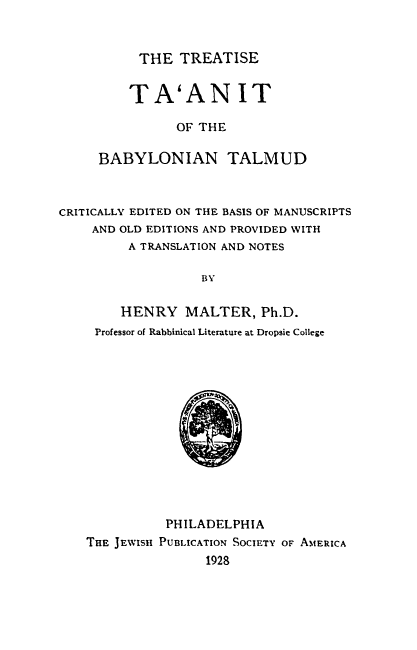 To name but a few highlights, Julius Kaplan published his pioneering work on the redaction of the Babylonian Talmud, Solomon Shechter took up residence in the great city of New York, while Henry Malter published the first ever (semi-) critical edition of part of the Babylonian Talmud in Philadelphia in 1928. The four current authors of this blog normally live in Israel, but are all visiting the United States for the summer. We are all in transition. Just the other day, Alan Brill responded to Tomer Persico and his classification of Brill’s blog as “American,” by wondering what it means to be American, Israeli, or Maltese (added in honor of Henry) in a globalized, fiber-opticized world. Brill also wondered how (and whether) the Talmud Blog is American, Israeli, or something else. Some similar questions were raised back on the old Talmud blog, and they are crucial not just for sociological speculations, but related to this blog’s preoccupation with context. Shai thought then, and continues to maintain, that regardless of the radical changes in our world, context continues to matter. A lot of what the new wave of “contextual Talmudists” do, is make connections between textual (that is, non-material) things and probe their significance. It’s a messy business and often difficult to argue or articulate which parallels are worth pursuing and what is a strangely coincidental set of characteristics. The problem plagues virtually every area of comparative historical research, but particularly of ancient times. If everything in the room that I am now sitting in will vanish (as it one day will), save for a few, arbitrary objects, will anyone be able to reconstruct the feeling of sitting where I sit and breathing the air I breathe, watching the flashes of lightening across a charred Gotham sky, the pitter-patter of a soaking summer rain on the fast streets below? And yet scholars do it all the time, and occasionally get somewhere with the few things that remain. Of course the real interest is not in the texture of banal living, but in the world of thoughts, ideas, and religion. Against all odds, even this sometimes works. Since we are traveling we would like to: a. ask for help from our Israeli readers; b. apologize for a relative slack in posting; and c. announce some upcoming Talmud Blog events. Traveling and fasting (some of us preferred to do this simultaneously) has taken a toll and it will be a few days until we get back to a normal posting schedule. Regardless, we’ll have a tougher time keeping tabs on Talmudic goings-on in Israel, so we would appreciate if readers there could keep us posted via email of upcoming events in the Holy Land. For readers in the greater Teaneck area- Shai will be delivering a few shiurim at Congregation Rinat Yisrael on Shabbat Hazon. Yedidah and Amit can be heard on Tuesday nights on the Upper West Side of Manhattan at Mechon Hadar. Before I host Shai in Teaneck, I’ll be at Princeton for two weeks, where I hope to blog from Tikvah’s Undergraduate Summer Seminar. For further discussion, see here. 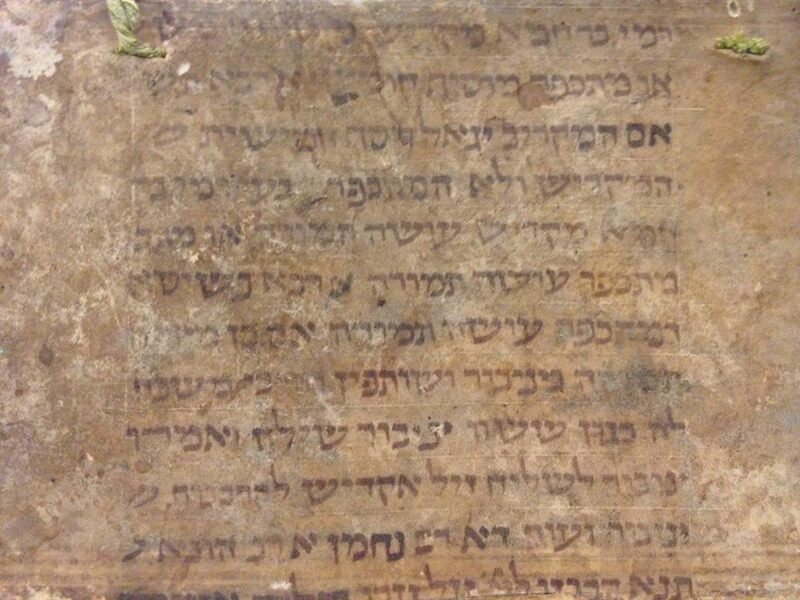 Also- don’t miss Manuscript Boy‘s exciting updates (days 1, 2, and 3) from the Books within Books colloquium on the European Genizah.